Virginia horse racing officials are seeking legalization of historical betting machines in a bid to lock the sale of a shuttered horse racing track, local news outlet the Richmond-Times Dispatch reported earlier this week. Generally speaking, the so-called historical horse race terminals allow bettors to wager on races that have already taken place. The betting machines feature video archives of previous events and offer customers the opportunity to place bets faster than when betting on live events. The devices do not show the names of the horses and any other important details about the race before a bettor places their bet on the outcome of a race. A number of states have already deployed the technology in order to secure new revenue sources for their horse racing industries. Virginia horse racing officials believe that the legalization of historical betting terminals could benefit the state’s industry, as well. However, the proposal has seen quite some opposition. Opponents of the move have pointed out that the betting terminals are actually slot machines in disguise. Proponents, on the other hand, have contended that the historical race betting machines involve a certain level of skill, unlike slot machine games, the outcome of which is determined by pure chance. The Colonial Downs track in New Kent was shuttered back in 2014 due to a financial dispute between its owner Colorado-based gaming company Jacobs Entertainment, and the Virginia Horsemen’s Benevolent and Protective Association. The latter is a non-profit organization that represents owners, breeders, and trainers of thoroughbred horses. Owners of the closed venue are seeking to sell it to Revolutionary Racing, a Chicago-based racing company. It is believed that the legalization of historical betting machines could be of particular importance for the sale of the race track. It has been estimated that if the deal takes place, Revolutionary Racing could commit $40 million into renovating and reopening the facility. As a result, 500 new jobs could be created for people from the region. 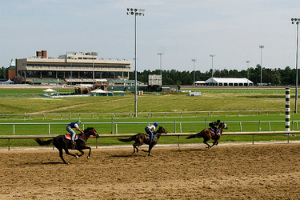 According to Virginia horse racing officials, the race track’s relaunch could revitalize an industry that has been dormant in the state for the past several years. It is important to note that the legalization of historical betting terminals has been included in Virginia’s outgoing Gov. Terry McAuliffe’s budget plan. In other words, the move will not be discussed as a standard bill in the state Legislature’s 60-day session, which kicked off on Wednesday, January 10. 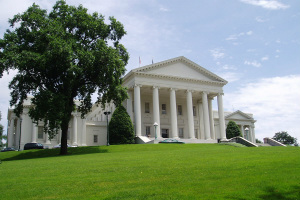 The Virginia House of Delegates has historically blocked attempts for any form of gambling expansion in the state. There have been several previous initiatives for the legalization of historical betting within the state’s borders, but they never succeeded in the House. It is yet to be seen how the latest looming push will be received by Delegates.